After the presentation of the results of the survey on job inclusion in Europe the seminar program went on with ca. 10 presentations on job inclusion from different countries. A short summary can be found here. Anna Contardi from AIPD in Rome, presented Italian experiences. Today about 25,000 adults live with DS in Italy, a part of them works. Anna addresses two problem areas, among others. Firstly, that many of these people are not prepared for the role of worker. Some are treated by families as if they were “eternal children” and so they behave. Others have a completely wrong self-image. It is difficult to integrate these young people into the world of work. Then she stresses that it is not so hard to learn and do a job, but much harder to be a worker. Understanding how to behave in the workplace, what social role you play. Sometimes this is the reason why an employment relationship fails. In Italy there are two options: A job in the first labour market or a job in a social enterprise. In these inclusion companies at least 30% of the staff are people with a disability. Many adults with DS work here. 13% of adults with DS who are in contact with Italian DS organizations work with a regular contract on the first labour market. In 2017, 131 new internships were added and 38 new employment contracts were signed. It is also interesting to note that there are fixed contracts with large companies that have regularly hired people with DS for many years, including Mc Donald, Feltrinelli, Deichmann, Decathlon, Nespresso, Lagardere, …). A successful campaign was a TV spot in which 6 interns with DS were filmed at work in a hotel. This video was broadcast daily for six weeks. Up to one million viewers saw the video. At the end of the video, interested employers were asked to contact AIPD. Result: 100 employers offered internships and jobs! Of course, the Valueable Network project was also presented, to which 106 hotels and restaurants in six countries are now affiliated. 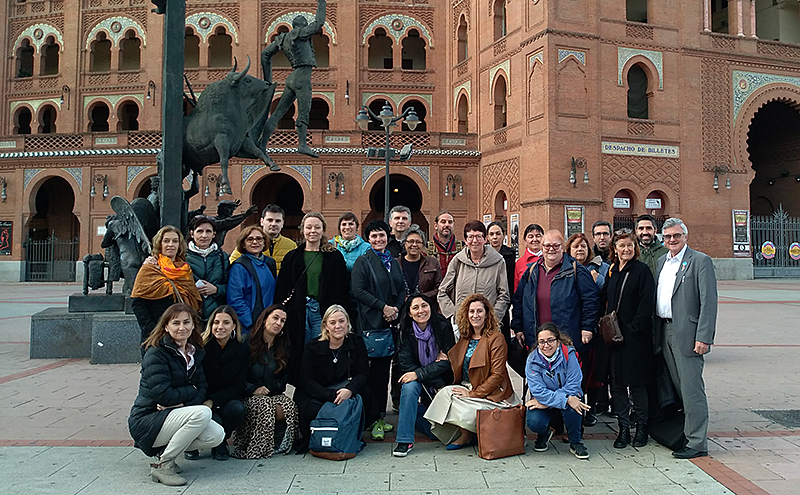 Two Erasmus projects, both coordinated from Portugal, are dealing with new training methods. Virtual DS aims to develop a training method focussing people with Down Syndrome, job trainers and company representatives, who then might work with Virtual Reality (VR) tools in supported employment settings. The main purpose is to improve the working ability of this group of people. DS associations from Portugal, Slovenia, Romania and Hungary are partners in this project. The second project T21to community is about acquiring digital competence for the labour market. A two-year course, first developed in the “Promentor” project at the Universidad Autonomia in Madrid, was taken over by the University of Santarem in Portugal and further developed there. 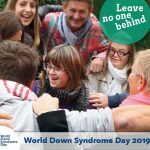 At present, 30 young people with Down’s syndrome in Italy, Croatia and Portugal regularly take part in the workshops and are thus made “fit for the job market”. The DSA from England brought the Workfit project to Madrid. 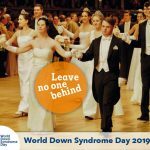 WorkFit is a tailor-made service that connects employers with employees with Down syndrome. The program makes it easier for people with Down syndrome to find employment. It encourages employers to employ this target group and informs them about the framework conditions that are important for these workers in the workplace. Workfit supports the recruitment process and provides post-employment support. WorkFit started placing candidates in 2012. So far 270 people have found permanent employment and 280 young people are doing internships in various fields. Almost 2000 employers/colleagues have been trained. The lecture by Fernando Bellver from the Emplea Foundation (European Association of Service Providers for Persons with Disabilities) dealt with the funding of Supported Employment in various European countries. A three-year vocational training course for young people with DS comes from Ireland. In the first two years, students attend a school four days a week for 32 weeks, with a work schedule covering topics such as literacy and technology, decision-making, rights and responsibilities and work skills. The third year of the course does not take place in a classroom, but is a flexible program designed individually for the young adult. Various internships will be completed and a job will be sought. One of the priorities in the work of Trisomie21-Gard in South France is work integration. The project DEFI 21 (Defi means Challence) supports young people who are looking for a job, companies who want to hire people with DS and accompanies family. The Pro DEFI then takes care of further job coaching, career support etc. so that the working conditions are long-term. AMIPI is also from France and stands for a challenging job in the car supply industry in several cities in western France, where people with Down syndrome have also found a challenging job. 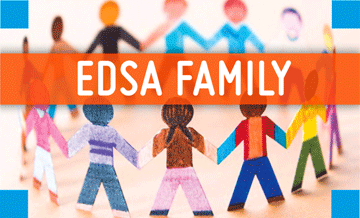 The DS Association in the Czech Republic does not have the capacity to provide its own specialist service for work integration. The association works together with the organization Rytmus, which offers a transition program in which it accompanies young people with DS and other disabilities in their preparation for the labour market, supports them in finding a job and offers assistance. Rytmus works closely with schools, preparing young people for working life during the final years of school. The program “I am independent Because I Work” was launched by the Turkish DS Association. One part of the program deals with the role of a job coach and his preparation for this challenging work, because the success of such a job placement often depends on him. The cooperation between Job Coach on the one hand and the person with DS, with employers, colleagues and with the families is described in detail. Germany: Workshops and social firms – an alternative to job inclusion? In this presentation the worksituation of adults with DS in Germany was showed. Most of these persons do work, ca. 80 % of them in a workshop. (10 % in day activity centers, 10 % on the first job market). Workshops nowadays offer a lot of different and interesting work options and many of these places are modern enterprises. Some of the workshop workers are placed on outwards jobs on the first market or work in social firms. These are first positive steps in the direction of job inclusion, but payment is bad and the workers still have the status of a workshop worker. This report cannot possibly give a detailed account of everything that was on the agenda during the three days in Madrid. Of course, there are many opportunities to talk together, to exchange information and pass on information. Usually the participants have their newest publications, video’s and materials with them to show around. We all appreciated the hospitality of the Spanish DS Association very much. Not only were we allowed to use the beautiful premises of the association, which are equipped with the latest technology, we were also well supplied with meals and drinks. For the traditional evening together a Flamenco teacher was engaged, who tried to teach us first Flamenco steps. Later we had dinner accompanied by flamenco dance and music.